WELCOME TO ADDBOSS FASHION INDIA...! ADDBOSS FASHION has brought a new trend of shopping for our corporate clients. Employee Benefit Program : Under it we perform an Event Activity program in various corporate companies. The employees of these companies becomes our member and can get the same benefits in future as well. They can also avail the facility of exchange / return or refund benefits if unsatisfied with the product. ALL TYPE OF OUTFITS : The products we sell at the event are all type of outfits. We change the stuff according to the season [ie: winter & summers] and the same are also available at our store as well. Genuine Product: We strive to work hard to arrange the genuine product and to maintain the quality to its maximum. The satisfactions of our users is our only reward and all your feedbacks and suggestions are always welcome for our improvement. Controlled Rates : The price of the product is governed by market conditions and the availability of the stock with us and also subject to the market availability of the product thus the price of any product with us is not fixed and may change time to time, however we do control the rates and constantly strive to make them lower as possible. Nominal Price : Our Price Policy governs the prices of all the products we sell at the event. We calculate the prices on the average basis and do not include any unwanted costing and unnecessary expenditure, this system controls the price and thus our users get the maximum benefits out of it. We do not take high profit and our motive is to add / server maximum number of users with us. GIFT VOUCHERS : we have also provided gift voucher of Rs 150/- and Rs. 200/- to our users to get a direct discount on purchase any garment product from our store. 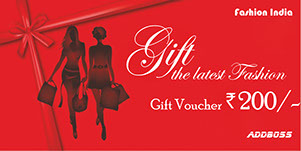 The Gift Voucher are given only at the event to the Customers who's billing goes up or above Rs 2000/- These gift voucher are governed by the Gift Voucher Terms & Conditions. Returns & Refunds : Our refund policy makes our users feel free mind shopping with us as they can change the product if unsatisfied with it or can take back their refund at any time after the shopping. To know more about it you can read our refund policy. Our store : Our users can purchase further form our store on Saturday and Sunday and any public holiday from 11:00 Am to 7:00 Pm and can also refer to their friends and family members to get the same benefits. We suggest to call us before reaching out to our store. 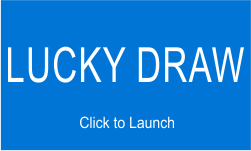 Lucky Draw : We have also started a lucky draw program in which ten lucky winners will get the exciting prices. To take part in the contest all you need to do is fill the lucky draw form with the details required and that’s it. The lucky draw is governed by the lucky draw Terms & Conditions. Company Logo : We also provide high quality company logo embroided Shirts and T-Shirts to the companies on demand. Companies can contact us to know more about this. Bulk Purchase : We also help our members/users in bulk purchasing of garments for special events like marriage etc. to know more about it please contact us at our helpline Nos. or email us at info@addboss.in . FASHION ACCESSORIES : we have also introduced fashion multi branded accessories like purses, belts and shoes for both ladies and gents at a very nominal price. We conduct a separate event of these items or sometimes together with the garments event. Our users can purchase both garments and accessories together form our store. The ADDBOSS price and discount policies are applied to the accessories to reduce the prices to its maximum however the Gift Voucher (GV) is not applicable on accessories and also the refund policy is not applicable on accessories though the product can be exchanged subject to the matter after analyzing the condition of the product. Take part in our Lucky draw contest and will a branded T-Shirt.